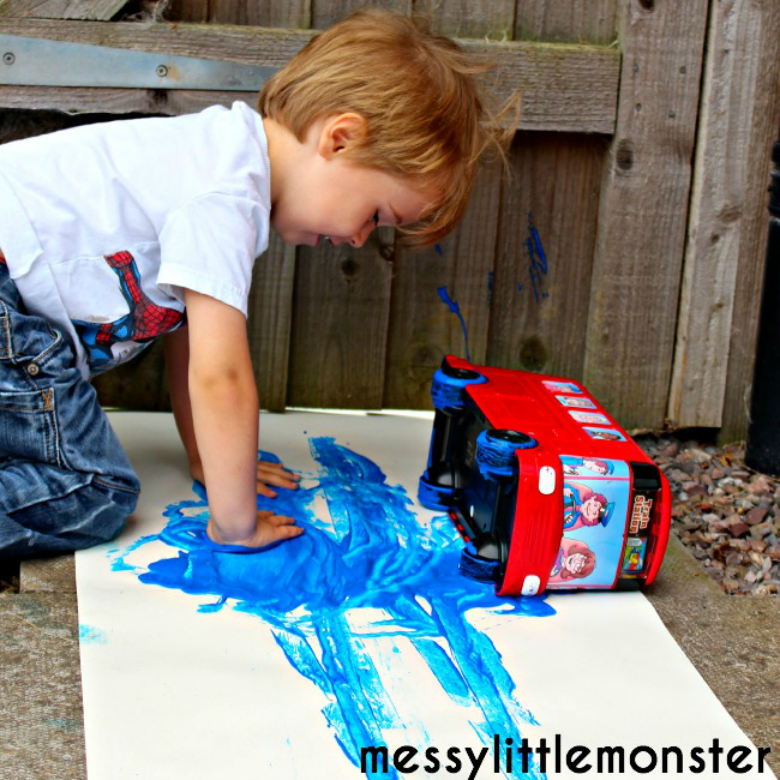 As we head into Spring and the weather gets warmer take the kids outside and get creative! 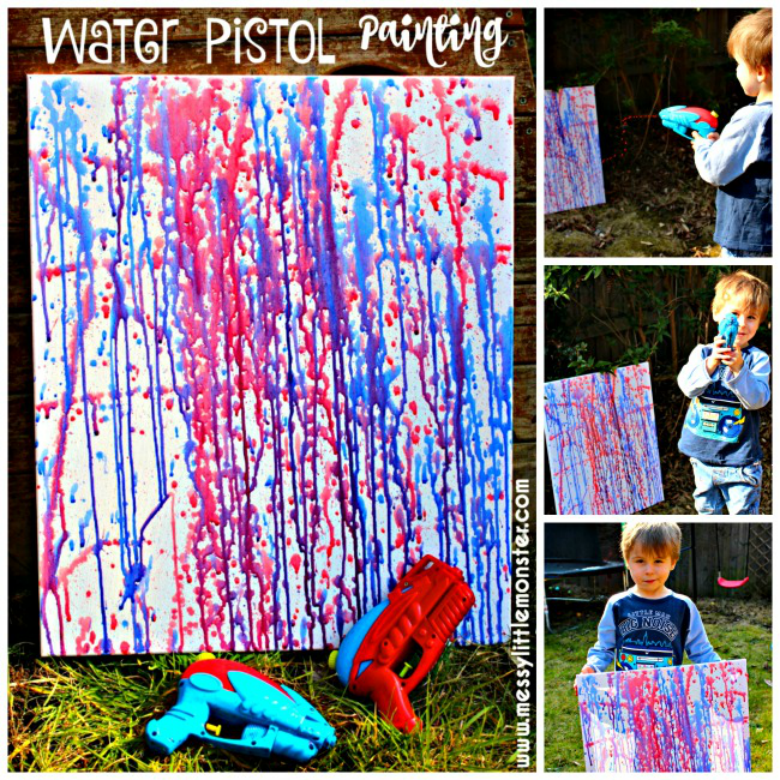 Here are a few of our favourite easy outdoor art ideas that kids will love. Taking art outdoors means you can work on a much larger scale and there is no worry about the mess. Be inspired by the nature around you and enjoy a bit of fresh air. 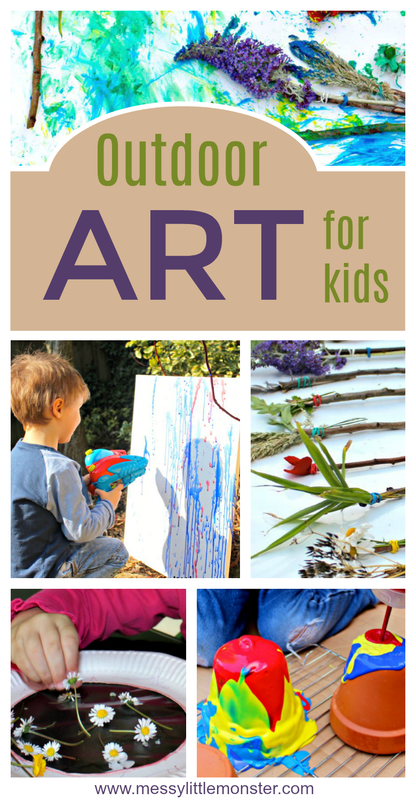 Below we have put together a collection of some of our favourite (and easy) outdoor art ideas for kids. Most of them would work well with children of all ages from toddlers and preschoolers right up to much older school children. The art ideas shared are more about the process than about a final project piece. 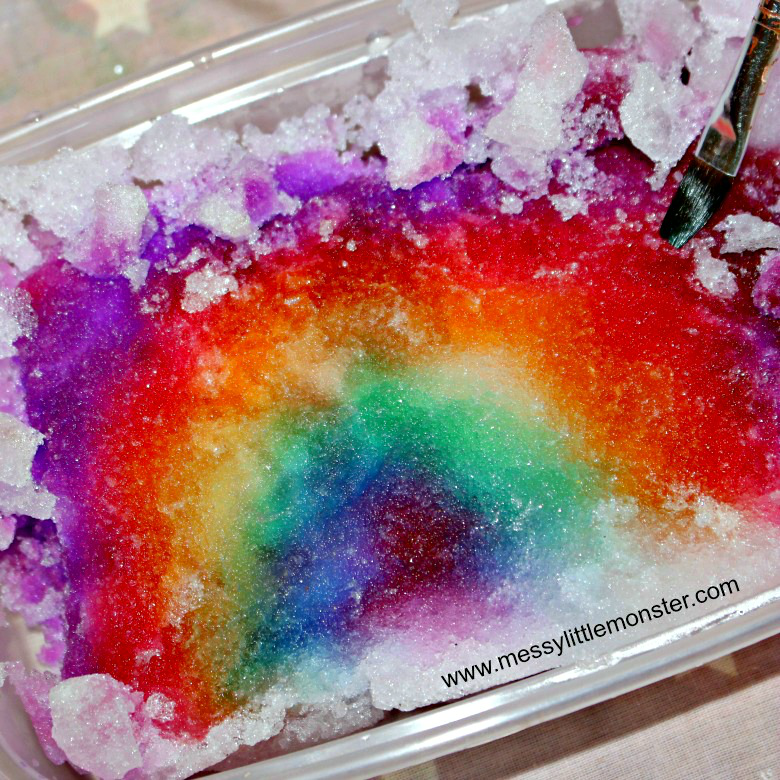 They encourage children to have fun, experiment and express themselves in different ways. 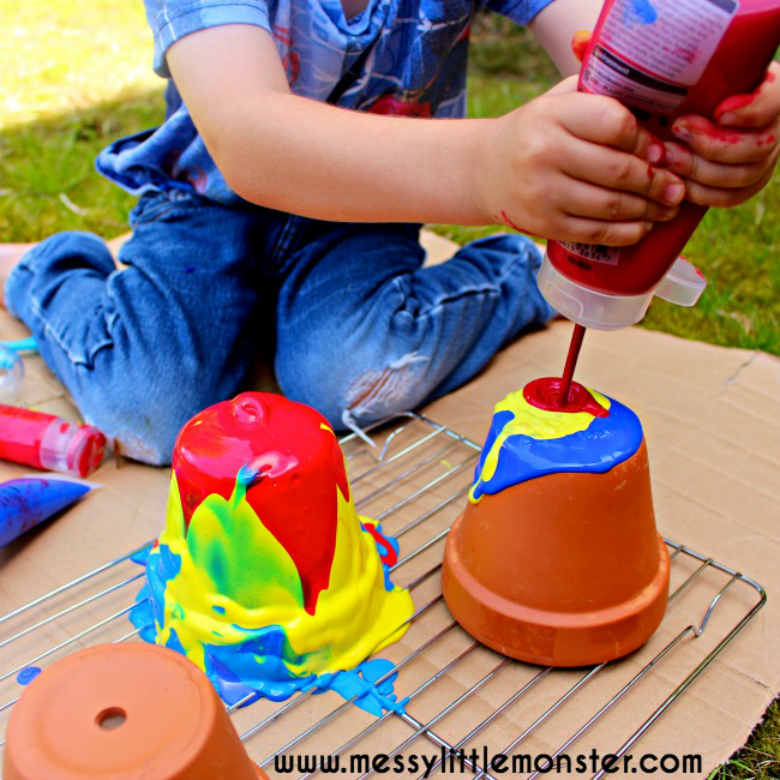 Whether you are looking for nature inspired projects or something a little more messy we have it all covered. 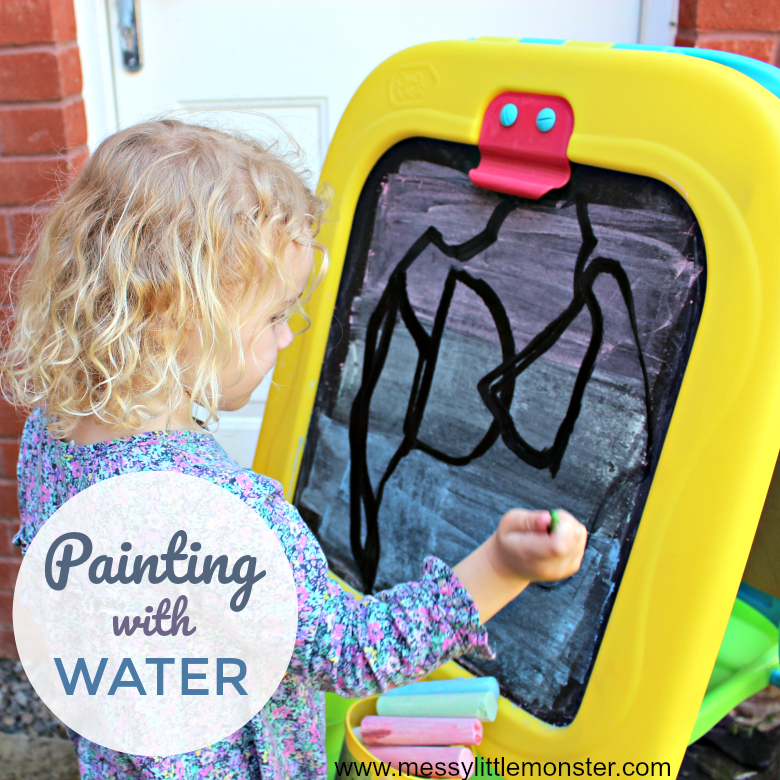 We often think about going outdoors with the kids in the Spring and Summer months as the weather gets warmer, but there is nothing to stop you getting out and doing some of these art activities in the Autumn or Winter months if you wrap up warm. Kids love being outdoors and they really need to get outside whatever the weather if they can. 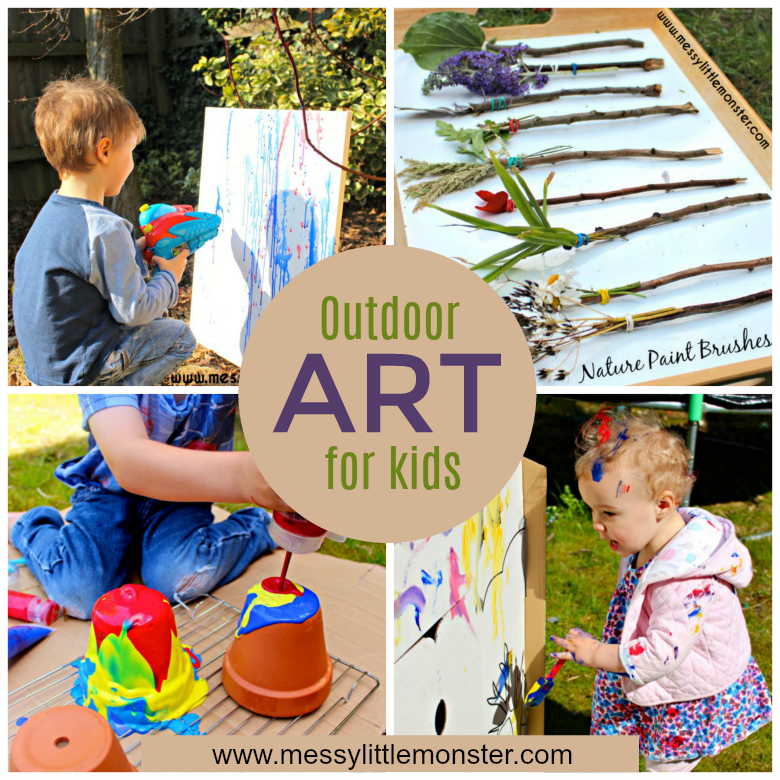 Lots of these outdoor art ideas encourage them to be active and collect pieces of nature, get messy and work on a scale that would be more difficult inside. For full instructions and further images for each of the outdoor art projects shared just click on the headings or the images below. 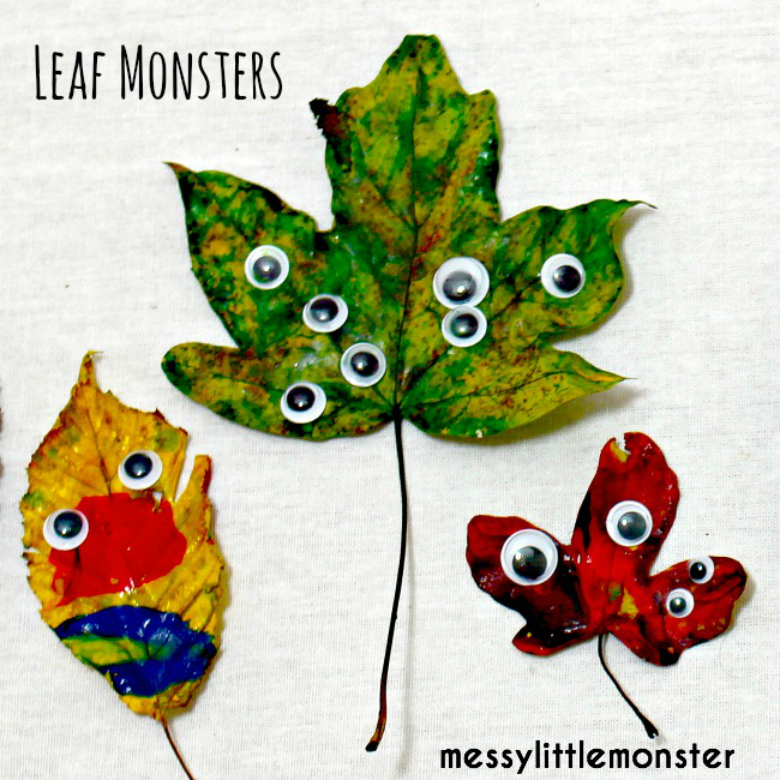 Make a beautiful suncatcher from flowers or leaves. These suncatchers are so easy to make and look beautiful hanging in the window. The best thing is that you can't go wrong, however you arrange the pieces of nature it will look great! 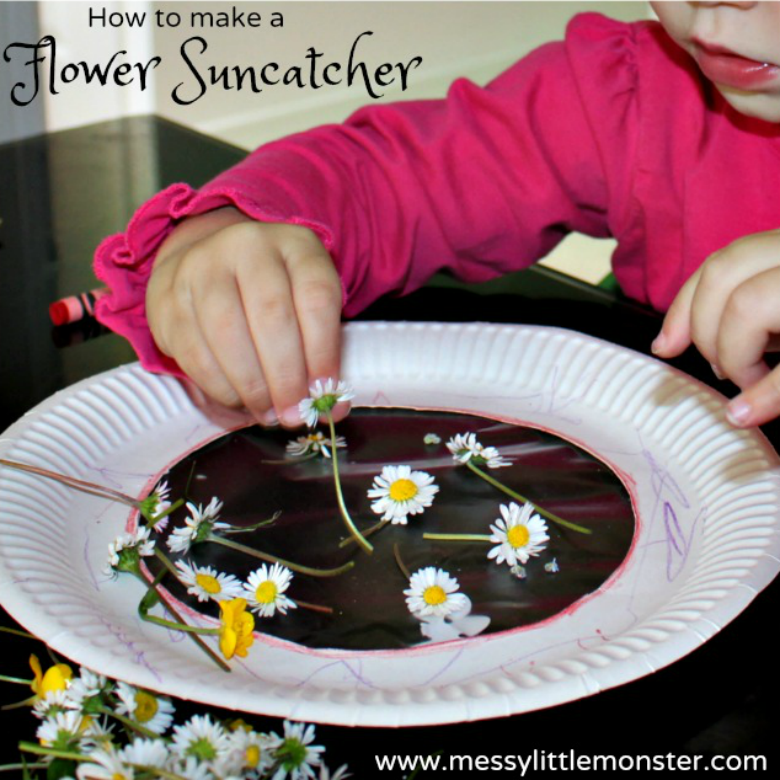 Why not use flower petals to make patterns like in this flower petal suncatcher! 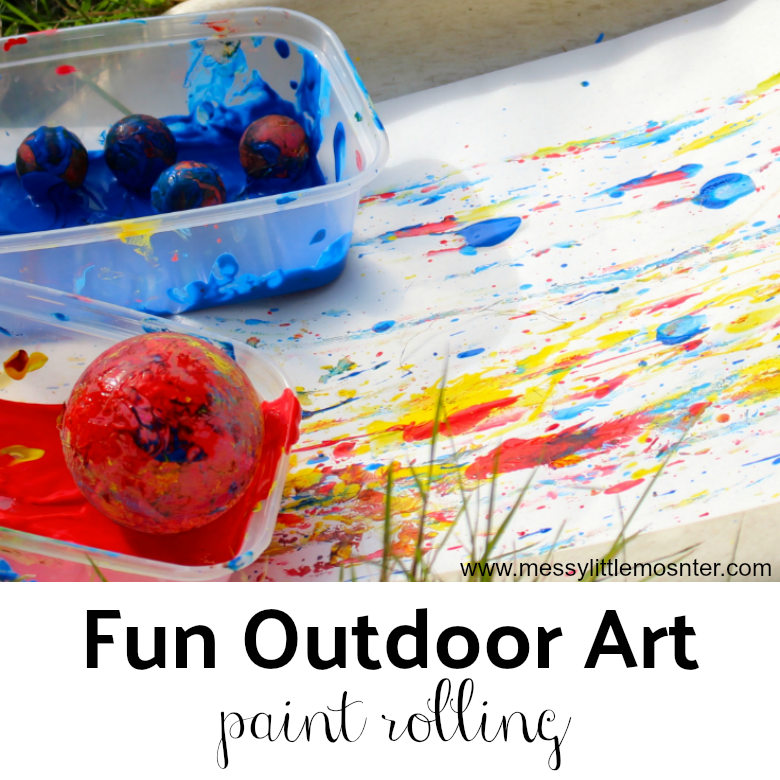 So which of these easy outdoor art ideas for kids do you think you will try first? 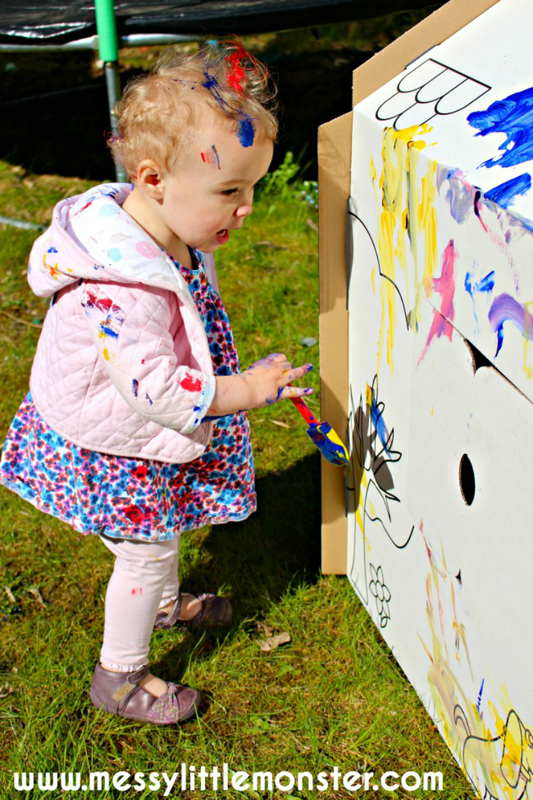 If you can think of any other fun outdoor art projects to do with toddlers, preschoolers or school aged children let us know. We are always looking for new ideas to try! 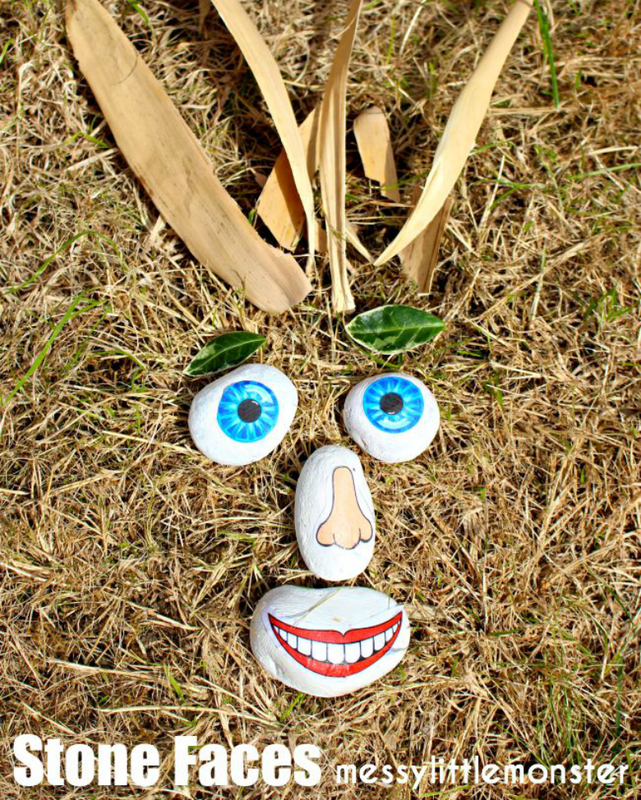 If your child loves being outside they might enjoy some of our other outdoor activities. 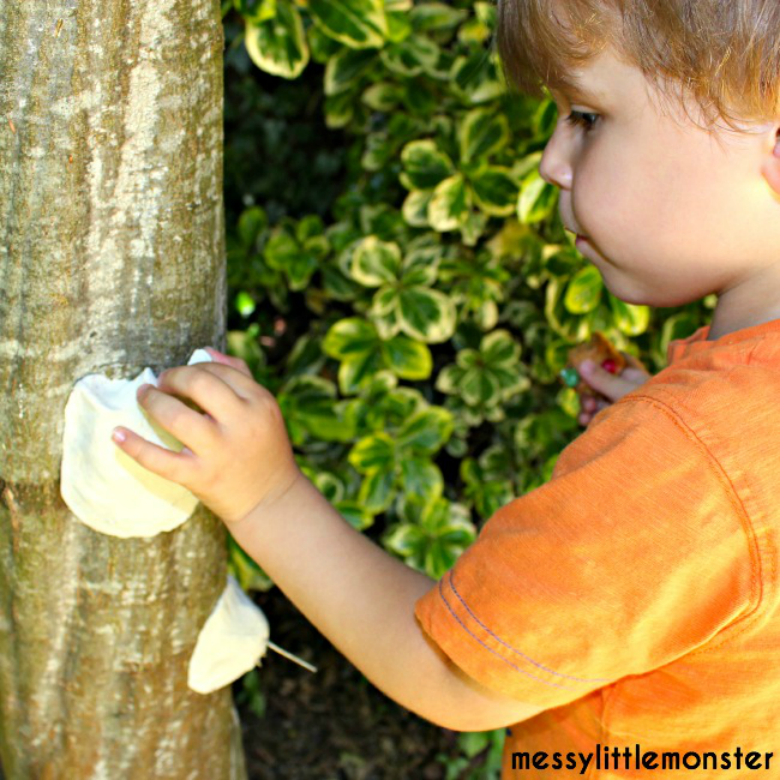 Why not go on a bug scavenger hunt, make a bubble snake or some DIY water bombs! 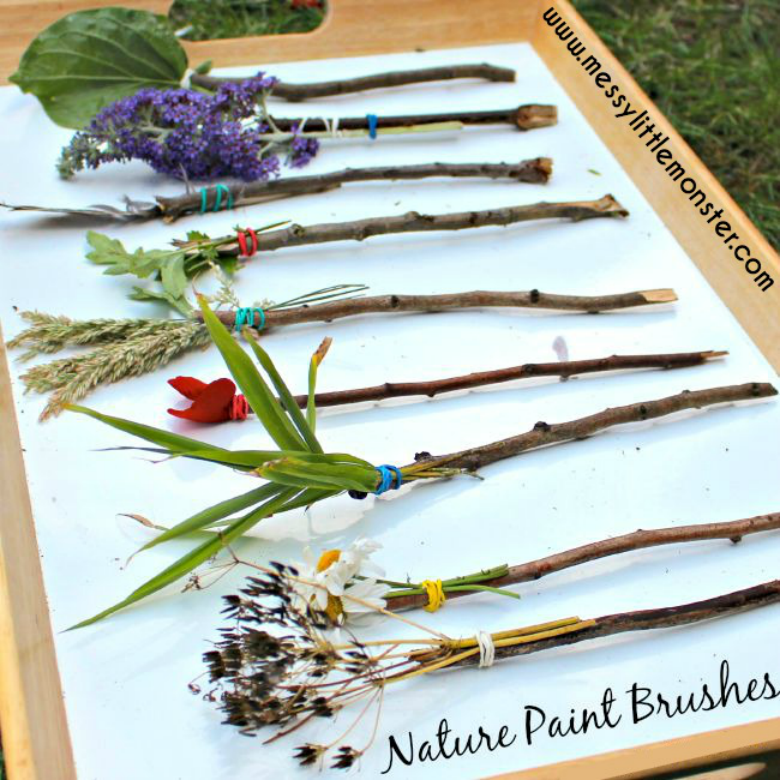 If you are looking for even more inspiration for outdoor art and craft ideas take a look at our list of 20 summer nature art ideas for kids. Follow us on Facebook, Pinterest, Twitter, Instagram orYoutube!